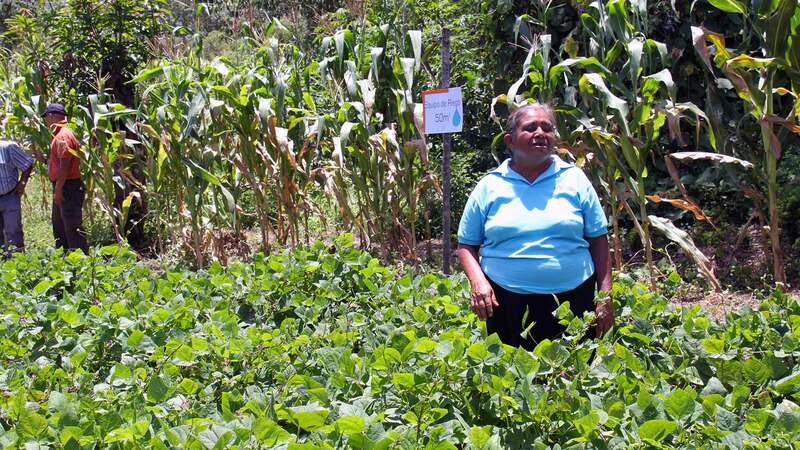 This Master’s thesis will shed light on the paradox that rural poverty levels in Nicaragua remain as high as 68%1 despite relatively good access to land. Among the reasons is the chronically low productivity of agricultural producers, which is the result of several factors such as little know-how, lacking technical assistance and low access to credit. Other reasons include the falling agricultural labor demand and the persistently low wages in the agricultural sector, both of which negatively affect the income of rural families. Furthermore, the thesis investigates who the main protagonists in the countryside, namely smallholder farmers, are. The characterization goes beyond the definition by land size in order to understand under what conditions different types of smallholder farmers live. The findings confirm that smallholder farmers are a heterogeneous group, whose socioeconomic situation varies according to their geographic location and production system and that they do not have the same initial position regarding several variables that influence their success as a producer. Going a step further, the thesis also dedicates an important part to the aspirations of Nicaraguan smallholder farmers in order to get a deeper understanding of the main target group of most development actors. The finding of the research is that many poor smallholder farmers have difficulties expressing their aspirations, projecting themselves into the future and naming possible options of achieving their aspirations. This confirms that there is a capacity to aspire, which is determined by their social environment and that the poor have less chances of developing and practicing this capacity. Nonetheless, several themes of aspirations could be identified. The most frequently mentioned were related to education, farming, living standard, small business, their community and paying off debt. In the case study, the objective characteristics and the more subjective aspects of aspirations and perceptions were applied to the use of micro-irrigation systems in order to identify factors inducing success or failure. The thesis presents a circle of success for agricultural producers, in which the micro-irrigation system is just one of the links, and presents potential barriers which might keep people from successfully adopting drip irrigation technology. In light of the findings, this thesis suggests introducing micro-irrigation to subsistence farmers via the NGOs model and to take the social enterprise approach to reach commercializing smallholders. Further recommendations aim at increasing the success rate of social projects by addressing the needs of the poor and introducing a better selection process.